As a child, Brodi Tobolski would watch her mom do flashcards as she worked her way through the Kellogg Community College Nursing Program. Today, Tobolski, now 18, is working through the KCC Nursing Program herself. Her mother, now a KCC Nursing Program graduate, works as a care manager with DayOne Family Healthcare at Bronson Battle Creek. A 2017 graduate of Coldwater High School, Tobolski also got a jump on her education by dual enrolling in KCC anatomy and physiology classes through the Branch Area Careers Center. 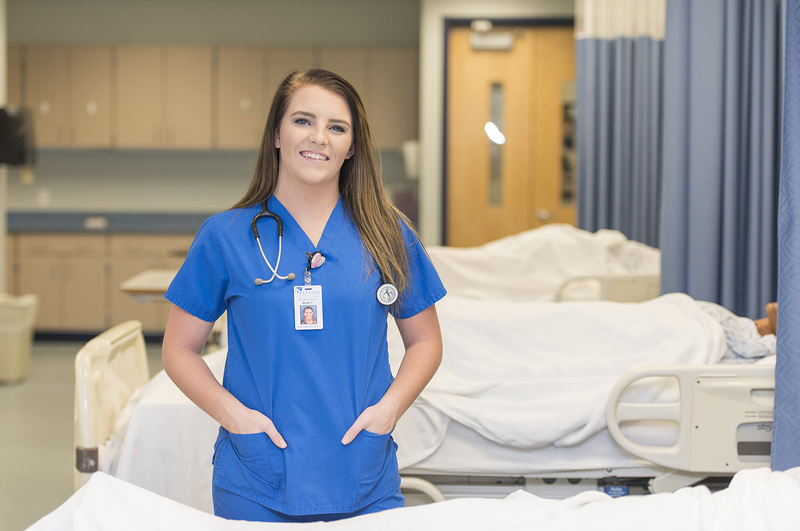 She was awarded the KCC Foundation’s Gold Key Scholarship – the College’s most prestigious scholarship – last spring and began her studies in the Nursing Program at KCC this fall. After graduation, Tobolski plans on pursuing a bachelor’s degree and possibly a master’s, though she’s undecided as to where. For now she’s enjoying her studies at KCC, and says she’d absolutely recommend the program to others interested in a career in nursing.